As a practice we have been using the herd management software DairyComp 305 extensively for over three years, and understand how to use this system at a very advanced level. Stuart Russell worked very hard to get this software into our practice as he felt it’s simply the best dairy data analysis tool in the world. Some of our clients have already installed it on farm and those of you who receive our monthly CowWatch reports will be a little familiar with it’s formatting, maybe without realising it. The detail of information we can extract about your herds is unbelievable, and we have used it to make some serious management decisions on farms calculating the likely herd and cost benefits of the change. Whether you have it installed on farm or just allow us to access your information together we can look at your fertility and production data in more detail than ever before. Remember that software that isn’t up to scratch could well be giving you the wrong advice! 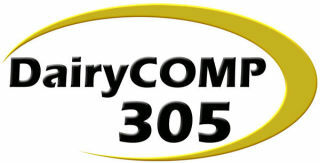 All we require is your permission to access your on-farm DairyComp 305 or milk recording data.